The sounds of the real world can be as amazing as any that are made in a studio. Featuring sounds that were captured in places as diverse as Paris, London and the ring road around Bristol, this week's beats and loops are unlike any you've heard before. The loops were created with the aid of the Kurzweil K2600r effects engine, while the beats were made with the aid of NI's Kontakt. The found sound samples are split into two folders: Beats and Loops. The samples are then organised by tempo. 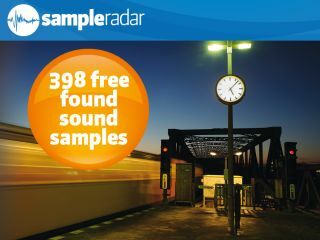 The found sound samples are supplied in a zip file, so you'll need to extract them before you can see them. Enjoy!